Micromax Canvas Turbo A250 is already confirmed by the company and now the press image of Canvas Magnus A117 is leaked by twitter user MMXNewscaster. The handset would have 5-inch capacitive touch screen display with 720p HD resolution. Like the A250 it will be powered by 1.5GHz quad core processor. It the source is to be believed, the A117 houses 2000mAh battery and has 1GB of RAM. The A117 Magnus will be Priced lower than the A250. According to the source it will have 12-megapixel primary camera with Flash and 5-megapixel front facing camera. That handset will be able to record Full HD 1080p videos at 30fps. It is expected that like the A240 Doodle 2 it also come with aluminum back cover and Dual SIM support. The Micromax Canvas Magnus A117 would be launched along with A250 but company has not revealed any info on the same, so take it as rumor. Zen is also going to launch Zen 702 FHD. Brother! 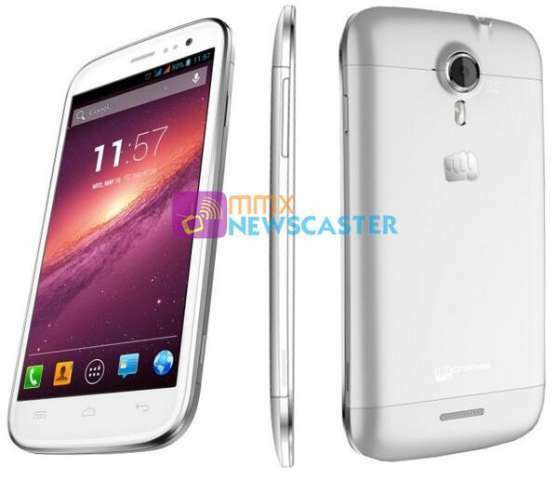 Is Micromax canvas Magnus is updated upto Android kitkat? IT WOULD BE UPGRADEABLE TO 4.4 KITKAT BUT DEPENDS ON MICROMAX , WHETHER THEY OFFER THE UPGRADE FOR IT. we think they will not provide the update.